Is Term Life Insurance a Good Idea? If you’re looking to buy a life insurance policy you may be wondering if term life insurance is right for you. The answer will depend on You and your own personal situation. What goals do you want your life insurance to accomplish, and how long do you need your life insurance protection to last in order to accomplish your goals? The answer to these questions will help you decide if term insurance is a good idea. If you need life insurance to last for 30 years or less, or you need the most affordable life insurance for your money, term life can help you accomplish your goals. Term life is temporary insurance that lasts for a specific number of years. Usually, term policies are available for a duration of up to thirty years. If you die during your policy term, the death benefit is paid out to the person(s) you choose as beneficiary of your insurance. Term insurance plans may be available with terms of 10, 15, 20, 25 or 30 years. The longer your term of coverage, the higher your cost of insurance. If you outlive the life insurance term of your plan, the coverage ends and there is no benefit paid out on your policy. Premiums are usually much lower for Term life insurance compared to whole life insurance. Term life provides funds for people who depend on you for financial support. Creates an estate to leave to your heirs, if you haven’t had a chance to build much wealth. Level term life insurance premiums remain the same for the term of the policy. So, 20 year level term means your premiums stay the same for 20 years. 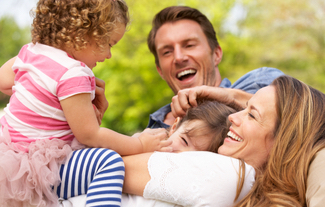 Provides the maximum life insurance protection for your dependents at the lowest cost. Provides affordable life insurance protection to fit almost any budget. Many term life policies offer you the option to convert your coverage to whole life insurance by some future date, (without having to prove insurability – taking a medical exam). If you outlive your term insurance policy, your premiums to buy a new policy will be much more expensive. If you do convert your term insurance to whole life – your premiums will be much higher for the same amount of coverage. Premiums usually increase with age, unless you buy level term life insurance. When your policy expires, you may not be in good health, and unable to qualify for another life insurance policy at that time. Should You Own a Term Life Insurance Policy? This is an important consideration when choosing to purchase a life insurance policy that ensures the future financial security for your loved ones should you pass away. So, what is your goal for your life insurance plan – what do you want it to accomplish and how long will you need coverage in order to accomplish your goal? These are questions you need to answer to determine if a term life policy is right for you. You would be the owner of the life insurance policy if you purchase the coverage and pay the premiums. You may insure your own life, or own a policy that insures the life of someone else. The majority of people choose to purchase a policy that insures their own life. However, there are many people who buy a life insurance policy to insure the life of their spouse, partner, child, parent or business partner. You may own a life insurance policy that insures someone else’s life if you have an Insurable Interest in that person, meaning you either rely on the person for some form of financial support, or you should suffer some financial loss if the person you want to insure would pass away. Who Owns a Term Life Insurance Policy? Why Purchase a Term Life Insurance Policy?